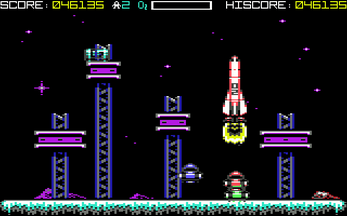 Your boss hates you. 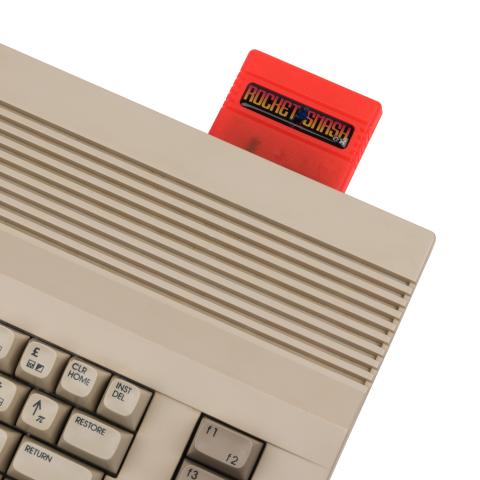 Your company computer is a demented psychopath, and all you really want to do is get home, sit down and have a nice cup of tea. At least there is the odd precious stone to supplement your meagre pay. 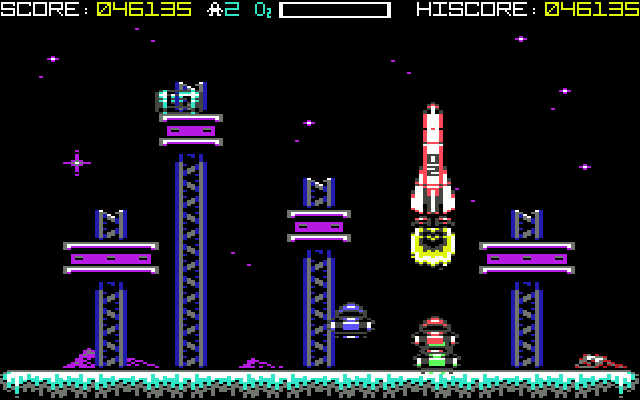 You may even meet an exotic alien princess if you're lucky. 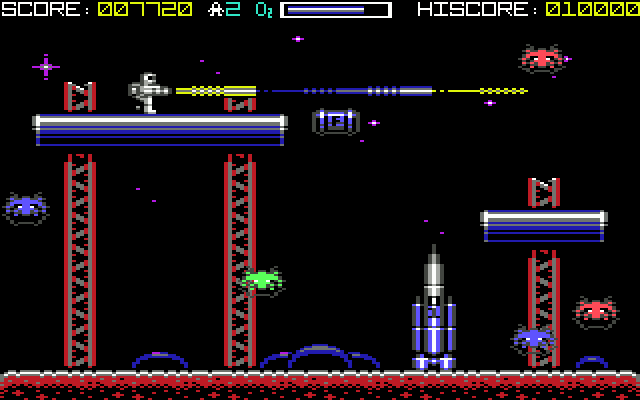 Space travel doesn't get dafter than this! 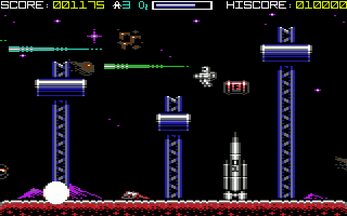 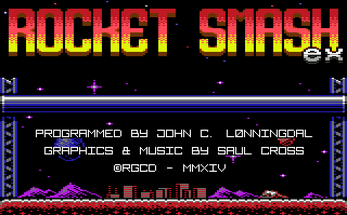 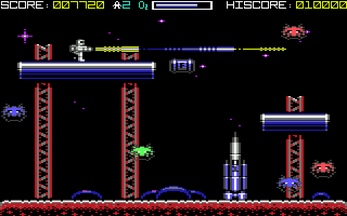 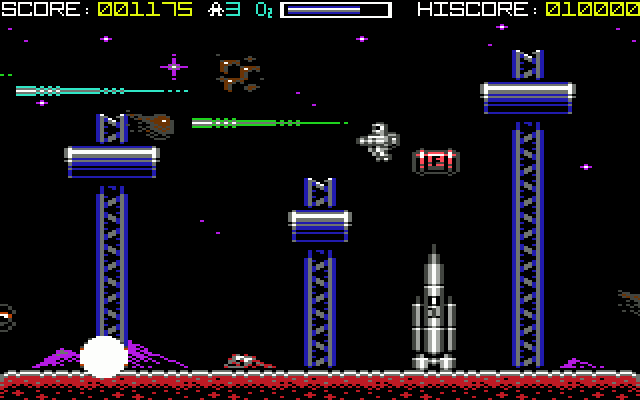 Developed for the Commodore 64 home computer, ROCKET SMASH EX is an extended version of Saul Cross and John Christian Lønningdal's ROCKET SMASH, released in 2013 as an entry in RGCD's annual 16KB gamedev competition. 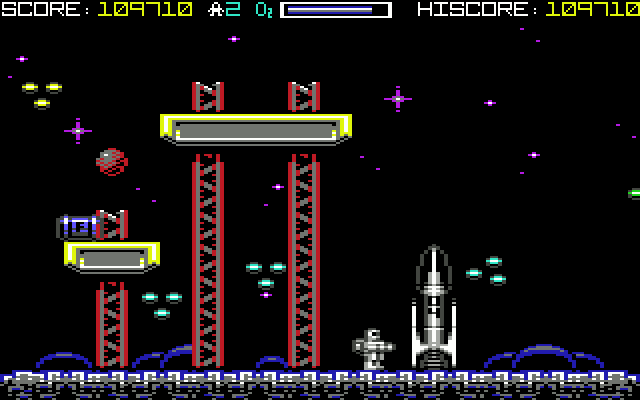 Your goal is simple; on each of the single-screen levels you must reassemble and refuel your crashed rocket ship before your oxygen runs out. 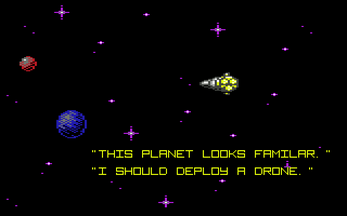 However, the hordes of fearsome aliens and deadly meteor showers on each planet will ensure that your mission is far from easy! 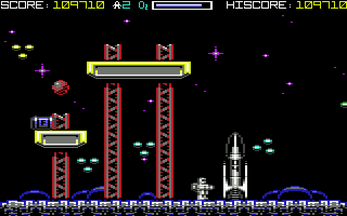 Story and pure arcade 'loop' game modes! 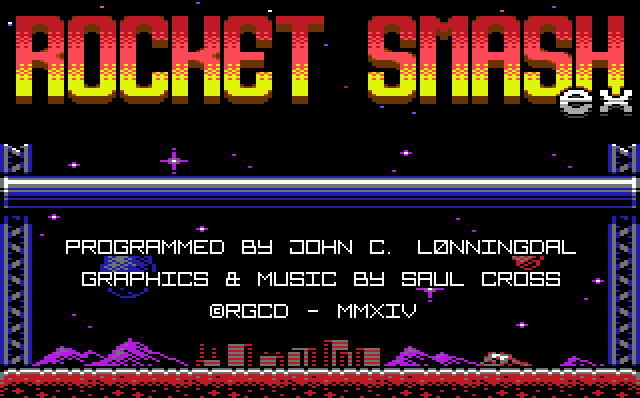 Buy ROCKET SMASH EX on Cartridge for your Commodore 64 Computer! 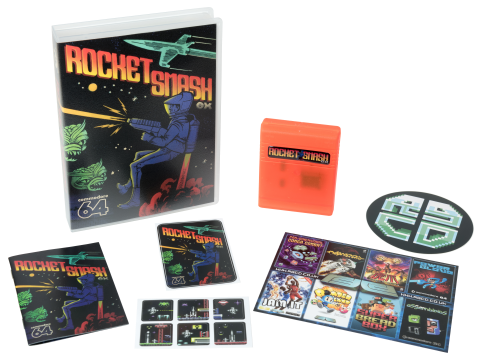 ROCKET SMASH EX is also available to order in both 5.25" diskette and cassette tape format from our comrades at Psytronik Software.